﻿ What is a house mouse’s natural diet? The aged-old story that tells of the house mouse’s affinity for cheese has led the general population to believe that it is in fact their most loved kind of staple food. However, contrary to popular belief, cheese is only a droplet in the bucket of what the house mouse’s complete natural diet entails. 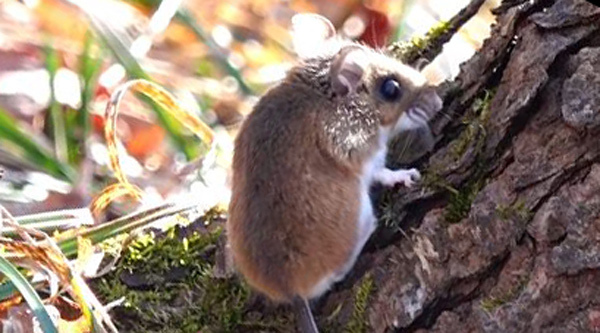 The house mouse (much like any other mouse) actually has quite a voracious appetite. This being the case, of course, they tend to settle their nests near homes where there’s a reliable, constant, and readily available food supply. The house mouse eats a lot, eats almost anything, and eats consistently. It will consume food up to 15 to 20 times per day. While the house mouse’s regular natural diet then seems to be largely herbivores - meaning that is consumes any kind of fruit, grain or seed from plants- it actually has a much more adaptive biological system. The fact is that mice generally live on herbivores diets, but are actually omnivores- meaning that they eat both meat and plant-based foods. This would incidentally also encapsulate the main reason that wild mice damage large fields of crops. Grasshopper mice are the only exception to the rule when it comes to the whole of the omnivorous mouse-family, being the only fully carnivorous mice. The house mouse, in particular, adapts well to urban areas and are well known for eating virtually all types of food scraps. In captivity though, mice (including the domesticated house mouse) are commonly fed a commercial pelleted mouse diet. Important to note that although these diets are nutritionally complete, they still need a large variety of vegetables. Food intake is approximately 15 g per 100 g of body weight per day; water intake is approximately 15 ml per 100 g of body weight per day. In times of need, when there’s no readily available food sources and/or food is scarce, the house mouse will resort to eating the dead bodies of other mice, and have also been observed to start self-cannibalising by eating their tails during starvation. Luckily for the house mouse, in these times of need it also has the consistent ability to synthesize its own Vitamin C, which is a unique ability as opposed to guinea pigs who are unable to do this. Yes, the house mouse is a diligent, adaptive and versatile creature with many tastes of sorts. It does not discriminate between foods and is only out to eat as much as possible, of whatever is available, in order to stay alive and well. A house mouse’s diet, for all these reason, is well rounded and absolutely well suited to the inquisitive and go-getting nature of the animal. Go back to the How to get rid of mice home page.